Looking for private in-home or in-studio Trombone lessons? Our Flower Mound teachers are ready to get you started. Find your teacher today! I played trombone for about 7 years and was principal chair of both a concert and jazz band, teaching several students at the time and afterward. My passion is teaching the trombone. I have started beginners, taught middle, high school, and university students. 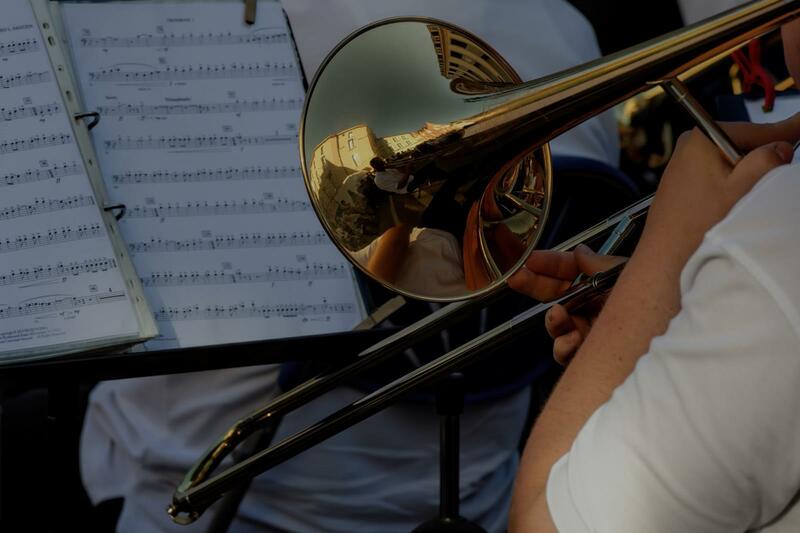 As a member of a professional orchestra for many years, I have experience performing many different styles of music and love to share my enthusiasm for the trombone with others. Lessons are rooted in a firm foundation of technique, focusing on efficient sound production and ease of playing. I love helping students reach their potential! I am a professional trombonist and pianist and have three degrees from the University of Michigan, including a D.M.A. in Trombone Performance. I have taught piano since I was 16 and have accompanied singers and instrumentalists in concerts. For many years, I was a trombonist in the Sarasota Orchestra and previously was Assistant Professor of Trombone at Miami University. I have started many students on trombone and tuba, as well as piano. Students will find me to be encouraging, yet demanding. I cater to different learning styles and strive to learn how each student learns best. I loved my first lesson with Laurie! She taught me more in one hour than I could have imagined - and in a sweet and caring way! Hi, I’m Brandon Allen, and I would love to teach you trombone! Lessons with me would be unique, in that I will incorporate elements of music history, music theory, and other cross-relations in music. My goal is to not only help students develop their technique and musicality on trombone, but to provide them with a well-rounded musical education as well. This allows for students to be multi-faceted. All ages welcome, any skill level welcome. I would love to teach anyone interested in music! d absolutely love the opportunity to teach more students. A student of mine should expect to grow week to week as not only a trombone player, but a musician as a whole. We will be learning about not only about trombone and how to become better, but also music history, theory, and other very important components to be a stellar musician. Outside of music, I love people and animals! ... and food. I would love to see you in lessons!